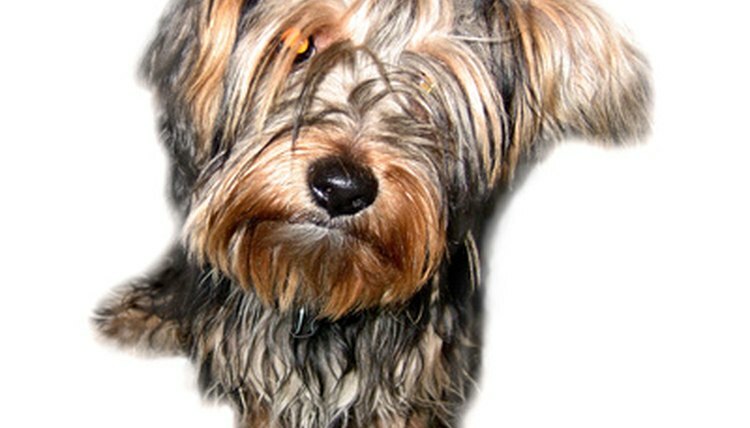 The Yorkshire “Yorkie” terrier dog can greatly benefit from raw food, a diet its ancestors survived on in the wild. Also known as BARF (Biologically Appropriate Raw Food or Bones and Raw Food), a raw diet is devoid of unhealthy fillers and additives, and is a healthy food option for Yorkies. You must gradually introduce your Yorkie to raw food, so that it adjusts well to a nutritionally balanced diet. Start your Yorkie on a daily raw food diet that ranges between 2 to 4 per cent of its weight. Feed it a single source of protein like chicken or turkey, when you introduce your Yorkie to a raw food diet for the first time. The Dog Guide website recommends rotating protein sources by feeding it different meat types each week, so that your dog benefits from diverse nutrition sources. Offer your Yorkie chicken one week, followed by turkey, fish, lamb, rabbit, pork or beef every other week. Once your Yorkie has adjusted to the raw diet, you can include different meats as part of its meal during the course of a week. Gradually add shredded or pureed vegetables like pumpkin, broccoli, carrots and spinach to your dog's raw diet. You can also offer it fruits like apples, oranges and pears as a treat. Occasionally feed your Yorkie raw bones, eggs, shredded cheese or yogurt, all of which are excellent sources of calcium. If your Yorkie is uninterested in the raw food, save it up for the next meal, and refrain from feeding it any other food until then. Reduce the amount of raw food in your Yorkie's diet if it gains excess weight, and increase the raw food intake if it is too thin. Since Yorkies have sensitive stomachs, they may experience an upset stomach when first introduced to a raw diet.